This invention relates to a shoe heel. 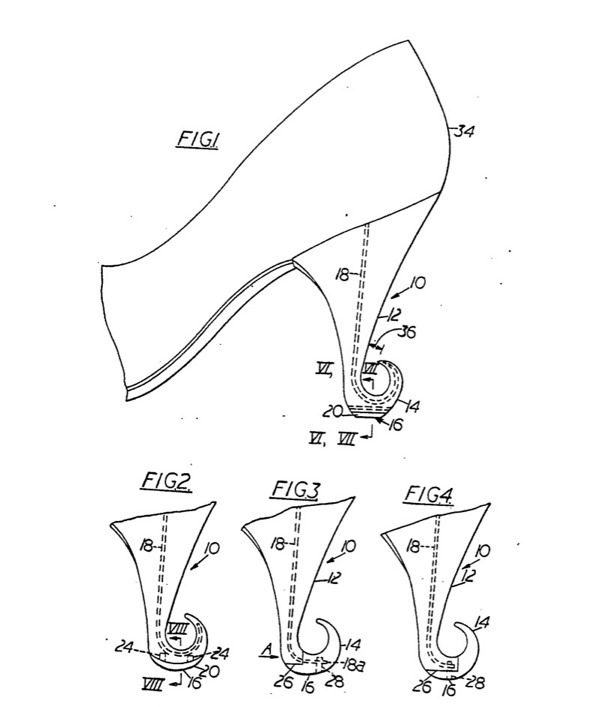 According to the invention, a shoe heel includes a tapering stem portion terminating in a curved resiliently displaceable bent-over portion providing a floor-engaging wearing surface. Not the most acclaimed Vivier heel, nonetheless one of the most striking. It was patented in South Africa (September 1965), France (January 1966) and Great Britain (April 1967) by a South African company called Parvitak Limited from Pretoria. "… the bent over portion (of the heel) may be replaceably attached to the stem portion, for example by means of a spigot and socket connection or by being keyed into the stem portion. The company Parvitak remains shrouded in mystery and it is unclear how the relationship with the shoe designer worked out. On the other hand it wasn't the first time for a "Vivier heel" to be assigned to someone else, the Choc heel being the most noteworthy . 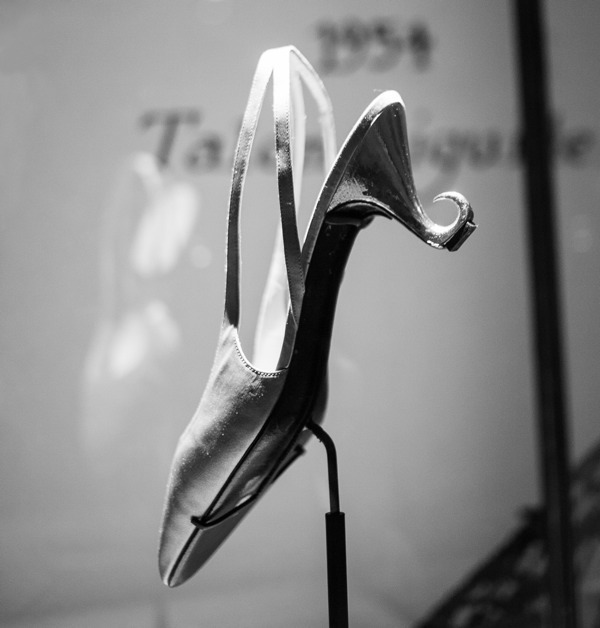 The Palais Galliera and the Musée De Arts Décoratifs both date 1964 this Vivier shoe, not too far off. 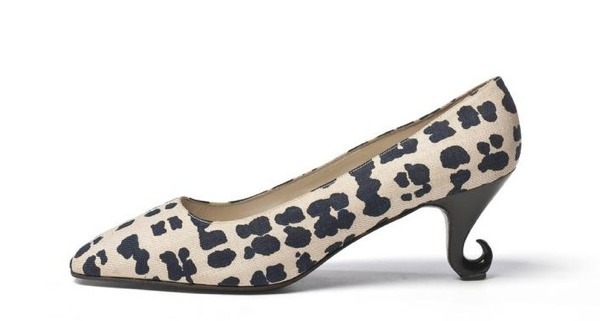 The former called the hook heel "talon escargot". 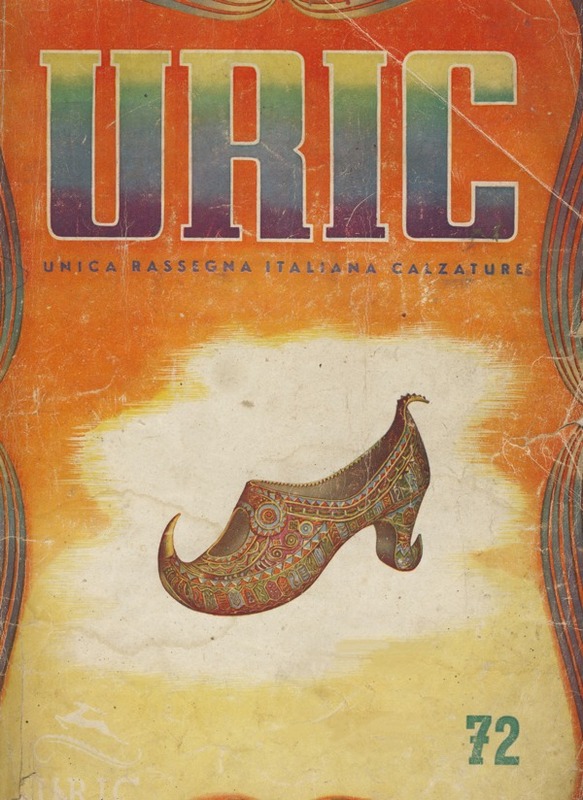 The French patent of the Choc heel (1959) is assigned to Christian Dior, while the US patent to Vivier himself.